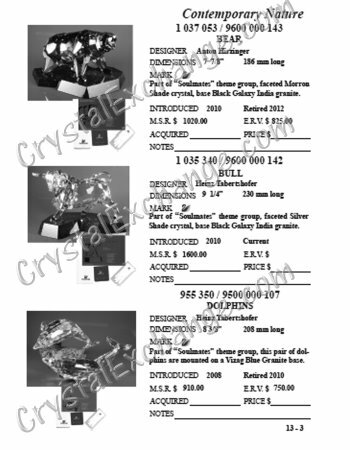 This is a comprehensive reference guide set on Swarovski Crystal. The set contains 3 volumes and is sold as a set only. The book set details information on CURRENT and RETIRED, European and US, crystal from 1976 to present. The book set contains 1250+ pages and 3325+ black and white photos. 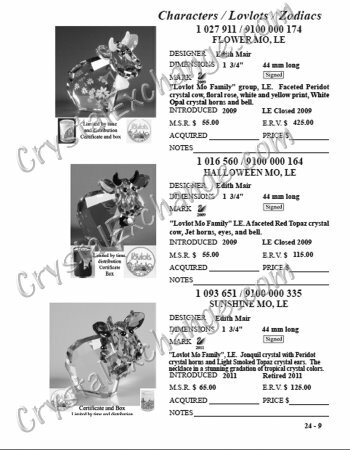 The page size is 8.5 x 7 inches and most pages show 2 crystal items. This book is coil bound. It is organized by categories (i.e. 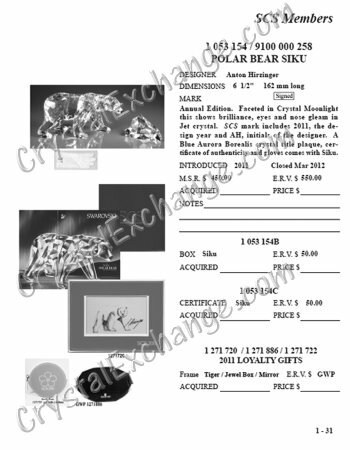 Annual Editions, Animals, Candleholders, etc) and includes estimated replacement values on retired items for insurance purposes (ERV's vary among publications). Additionally, there are blank lines near each photo to allow you to accurately inventory your own collection and record personal notes.